We are pleased to announce another completed website design and development project! 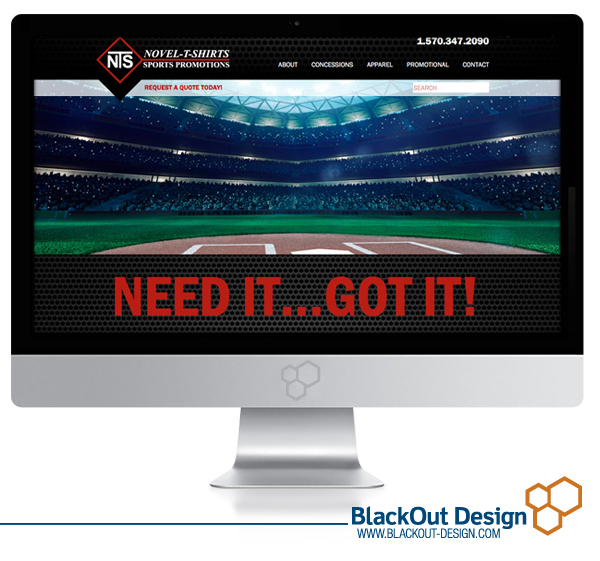 Our most recent completed website was for Novel-T-Shirts Sports Promotions. The company, located in NEPA, is a licensed provider of MILB Merchandise and supplies venues and teams throughout the country with their branded promotional items. The design of the site is fun and functional with a sports theme evident throughout the site while highlighting the key products Novel-T-Shirts offers.